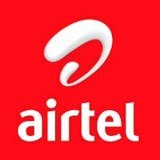 Airtel Loan - Airtel offers a loan of Rs.10 talktime if your mobile balance is less than Rs.5. Rs.10 will be deducted on your next recharge. How to get Airtel Rs.10 Talktime Loan? 2. Select option no.3 - Take Loan/Ask for Talktime. 3. Select option no 1 to get airtel loan of Rs.10 talktime. 1. Airtel loan is applicable only for airtel customers. 2. Airtel's terms and conditions are applicable. 3. This offer can be terminated or modified by Airtel anytime.